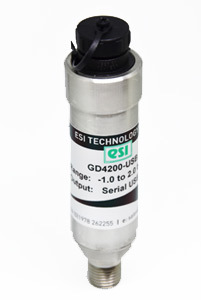 The GD4200-USB© Digital Pressure Transducer has been designed to measure, analyse and record pressure directly on your computer without the need for costly I/O interface boards. 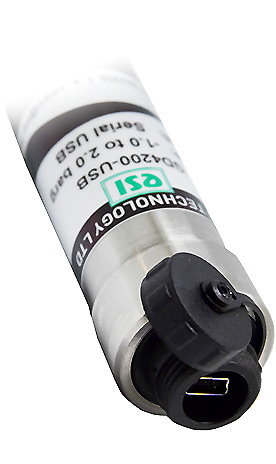 It allows the user to measure up to 16 pressure inputs simultaneously and easily create customised test certificates. The transducer is powered by the computer’s USB port, data is then presented on the PC via the ESI-USB© configurable Windows Interface software. It has instant connection with auto-detection, and will configure automatically with your desktop, laptop or Windows tablet via USB protocol. The sample rate enables dynamic pressures to be measured with up to 21 bit resolution at user selectable speeds up to 1,000 Hz. Labs, test benches, MRO, on-site field tests analysis.